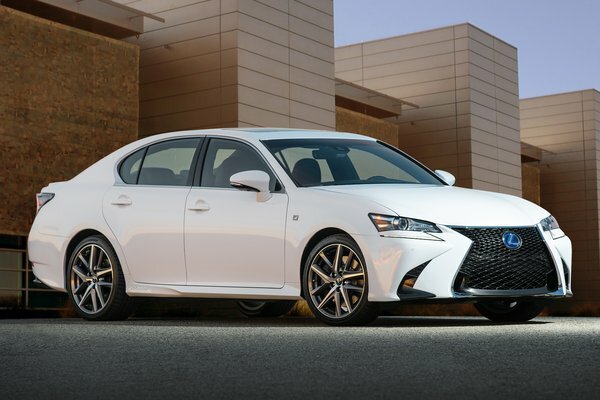 A sedan that offers both luxury and sporty handling, the Lexus GS has three distinct renditions-the GS 300 (formerly the GS 200t), GS 350 and GS 450h. The GS offers select safety features and conveniences as standard, such as the Lexus Safety System+ that includes Pre-Collision System (PCS) with Pedestrian Detection, Lane Departure Alert (LDA) with Steering Assist, Intelligent High Beam (IHB) and Full Speed Dynamic Radar Cruise Control. The 2018 GS models also include as...Read.